Here at Poker Refugees, we’ve relocated over 550 online gaming pros, and what some people don’t know is that many of them include professional sports bettors in addition to online poker players. In today’s blog, we will be sharing a very in-depth interview with one of our sports betting clients who relocated from Canada to Costa Rica to bet on sports. In what ways will the sports betting industry evolve in the future and will it help or hurt pros? Q: Where are you from and how did your career betting sports develop? A: I’m from Canada and I started out working as a financial analyst with an economics degree. It was approximately in 2002 that online prediction markets like Transports.com developed and I quickly realized, just from browsing competing websites, that a new set of opportunities was emerging as a result. I started exploring the sector by arbitraging financial binary options, which turned out to be a good way for me to capitalize on my strengths: I’m more introverted than many in the financial industry, and online gambling allowed me to take my skills and apply them in an environment that was a better fit for my personality. It turned out that this emerging sector not only presented exciting opportunities for financial growth but that it was a kind of work that made me happier. Once I ventured into the sector I noticed that these sites also offered sports betting, which is structured in exactly the same way as binary options are, but comprises a larger market. Migrating was a no-brainer. I did sports arbitrage for about six years, until I stopped hedging off the other side of the bet. Now I take the liability of the side that has value, thus becoming a real professional gambler. Why is it important for sports bettors to have access to international betting sites like Pinnacle and Bet365 compared to US- or Canada-facing sites? It’s essential that anyone working as a professional sports gambler have access to as many sites as possible. You would need bookmaker accounts just to check prices. You would need bookmaker accounts to know where value and opportunities are – and not just one or two, but accounts at many sites to transact at the best odds, especially if you have any kind of arbitrage operation. There are very limited betting opportunities in the local U.S. and Canadian products that are currently available. You can make a living on sports betting in Las Vegas, for instance, but it requires a physical presence in Nevada to do so without the hassle and uncertainty of dealing with brokers. You can also make a living from local Canadian products – for example, by taking advantage of palpable errors in provincial lottery markets (which, in Canada, are never busted). But prices in the betting market move based action that is now global in scope. You cannot have access to the entire market if you are physically based in Canada or the United States. You also need to be operating in a manner that is consistent with your bookmaker’s terms and conditions if you want a reliable annual income. For most casual sports bettors, violating the terms and conditions is not a big deal – but if your income depends on the viability of your account, you’re better off in a jurisdiction like Costa Rica, which allows you to conduct transactions across borders seamlessly, and in compliance with the relevant terms and conditions. Would you consider betting sports to be your primary career and source of income? What is your normal schedule/day like throughout the course of the year and sports seasons? Feel free to elaborate as desired. Absolutely. Betting on sports, and earning interest and dividends on those resulting profits, are my only sources of income. Like most other jobs, mine has both weekly and annual rhythms. My schedule is driven by the sports leagues: I’m typically working when there is an NFL or NBA game on. And like a teacher, I get July and August off, when those leagues have a break in common. What was your primary motivation in moving abroad and why? What factors affected your decision to move? It’s really very simple: I moved to Costa Rica in order have the legal standing to access the entire global market in sports betting. You just can’t do that in Canada. Costa Rica is a special kind of jurisdiction – it has created a global niche for itself in facilitating this type of work. Nobody is afraid to do business here, while other jurisdictions tend to be more conservative. What type steps did you take in researching the move? With a relocation of this scope – we’re talking about my livelihood, not just a sideline business – due diligence was vital. So was drawing on local experts who could help me navigate the transition confidently. There are times in business when you can afford to take certain kind of risks – when it’s an advantage to do so. But you also need to know when to take those chances, and when to go back to the basics and ensure you’re starting from a sound foundation. After years in the business Kristin developed an impressive reputation and I knew I could rely on her to help me manage the relocation without exposing me to unnecessary risks along the way. How did you come across the Sports Refugees relocation service? I first learned of Kristin via anarticle on Bloomberg back in 2011 – “Poker Expats in Paradise.” I didn’t have any immediate plans at that point, but her name stuck in my mind: I knew her services might be valuable if I ever decided to expand my sports betting operation, and following her work was good way for me to learn more about what that kind of expansion might entail. By the time I decided make the move, contacting her was one of my first steps – her track record make it an easy decision. What were your top concerns in moving by yourself and how did SportsRefugees address/resolve those concerns? Moving to a new country by yourself is tough, not just practically but on a very human level. In the highly distributed world of Internet work, in particular, the experience can be socially isolating and overwhelming. 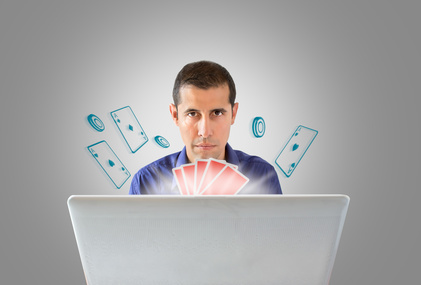 Something that drew me to online gambling in the first place – the fact that it was a good match for my introverted personality – became a bit of a liability in the context of moving, because I wasn’t going to have a ready-made community of colleagues to join, or an easy way to develop a support network in Costa Rica. Kristin creates paths for people like me to make the transition less unsettling – her personal connections and local knowledge made a huge difference in getting me settled. Walk us through the relocation itself in your eyes. 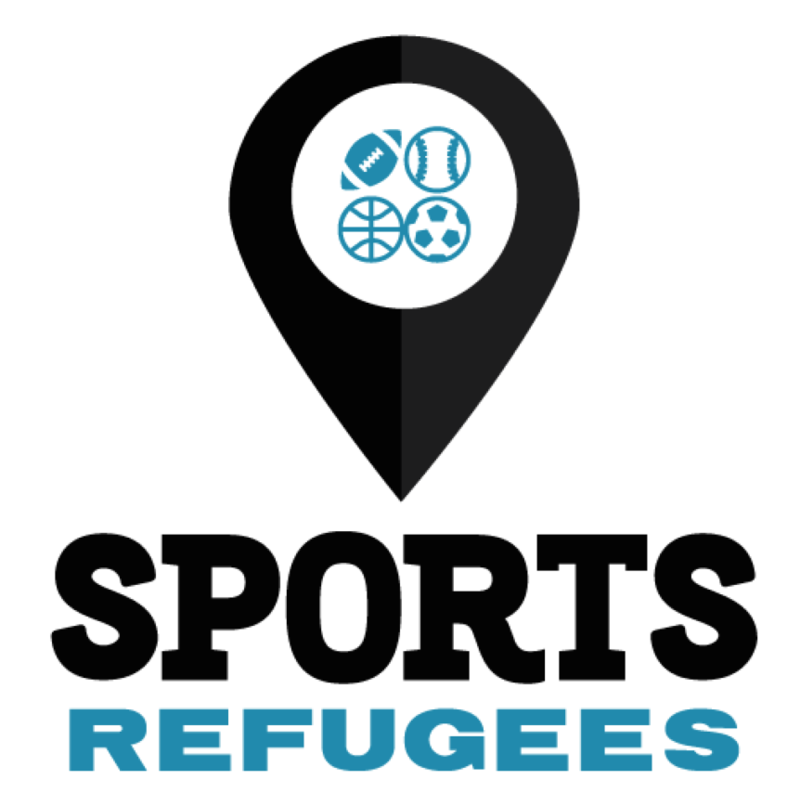 How long was it from the time you contacted Sports Refugees and signed up through actually arriving to Costa Rica and getting set back up with the sites? Once I’d made the decision to move, I wanted to make the transition as efficiently as possible, so even though it cost a bit more, I decided to use Kristin’s expedited service. I was even able to sign the lease on an apartment she recommended while I was still in Canada. I landed in San Jose on a Monday afternoon, about two weeks after first contacting Kristin. From the moment I landed, Kristin’s local concierge manager kicked into high gear. He was a tremendous help: thanks to his efforts I had essentials like a cellphone as soon as I walked off the plane, a hotel to stay at while I took meetings and got up and running, and a meeting at my first bank the day I arrived. After that, things kept moving at a good clip. Tuesday, Wednesday and Thursday were “work days” – I would wait by the InterContinental’s pool until the Sports Refugees rep, picked me up and took me to that day’s slate of meetings, with banks and the local lawyer we were working with. As we prepared all the local documentation, including bank statements and notarizations, I provided the documents to the bookmakers I dealt with. I don’t speak a word of Spanish, and I didn’t have to – the Sports Refugees employees were my translators as well as my guides. I set up accounts with two different banks in three days. By Friday, just four days after I arrived, my betting accounts were all switched over to Costa Rica and I was able to open new accounts on sites where I was previously barred from operating, due to residency constraints. How do you like Costa Rica? Do you find it to be safe, have good infrastructure, have sufficient amenities, shopping, banking services etc? 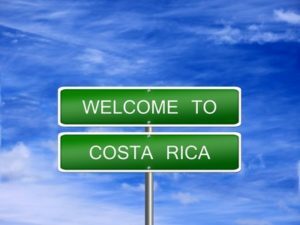 Costa Rica is an excellent place to do business. From a gambler’s perspective, the Internet and banking services are first-rate: there’s a reason that many large American companies – behemoths like Amazon and Baxter – have huge operations here. 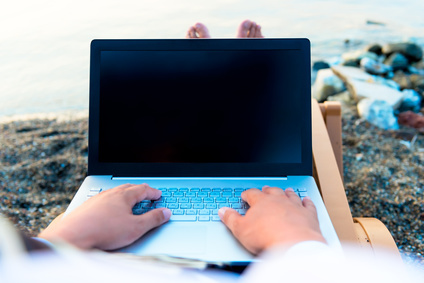 Outside of business operations, it feels quite different. Costa Rican life is obviously a big shift from what I’m used to in North America – you often see it in the smaller details, like the way so many homes are surrounded by security fences. Do you feel that the Poker Refugees relocation service was priced fairly and provided significant value for the money? 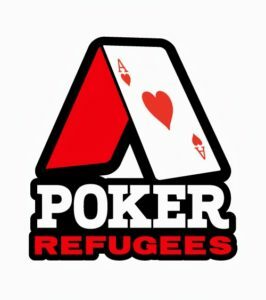 Would you recommend Poker Refugees to others? Why or why not? Since I moved my operations to Costa Rica [with Sports Refugees] my average monthly profits have at least doubled. And now that I have the stability and scope to operate on a larger playing field, I’ve been able to invest a considerable amount in software development, to increase the speed with which I place bets and access data. Definitely value for the money. How was the experience working with Kristin and her local employees on the ground? What are some of the things that most stick out from this experience? Everyone was very warm and friendly. Looking forward, how do you see the future of online sports betting in the US and Canada progressing? Do you think that regulation will create future roadblocks for pro bettors or create more opportunities? Canada and the United States are sophisticated countries that want to a capture as much value from gambling markets as they can. The regulation of the gambling industry in these countries is a protectionist restraint of trade masquerading as consumer protection; all of which is ostensibly justified by the negative externalities of gambling. If anything protectionism should intensify because it has the twin engine of a moral cause and a profit stream. Combine this with the fact that because gamblers themselves have no union and no rights. So I don’t see the legal situation in North America improving. 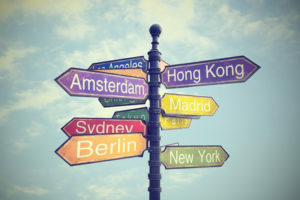 Which Country Should You Move to for Online Poker?